Promotional Concepts is San Luis Obispo’s leading promotional advertising products company. Chances are you ended up here because you’re looking for promotional merchandise like pens, coffee mugs, hats, t-shirts, bags and the like. We provide those items and much more. We provide products with purpose. We’re your strategic marketing partner offering advice, ideas and products that get the results you want. To get the right products to promote your business, CONTACT US for a free consultation. 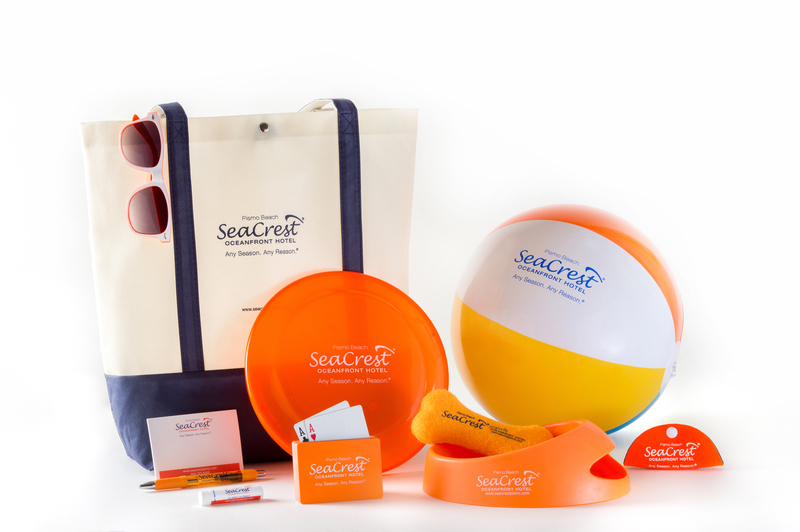 Seacrest resort continually looks for ways to make an impression on guests and partners. They focus on using branded products to showcase their brand and their signature orange color.